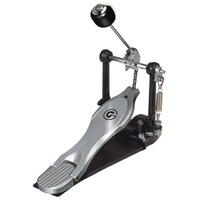 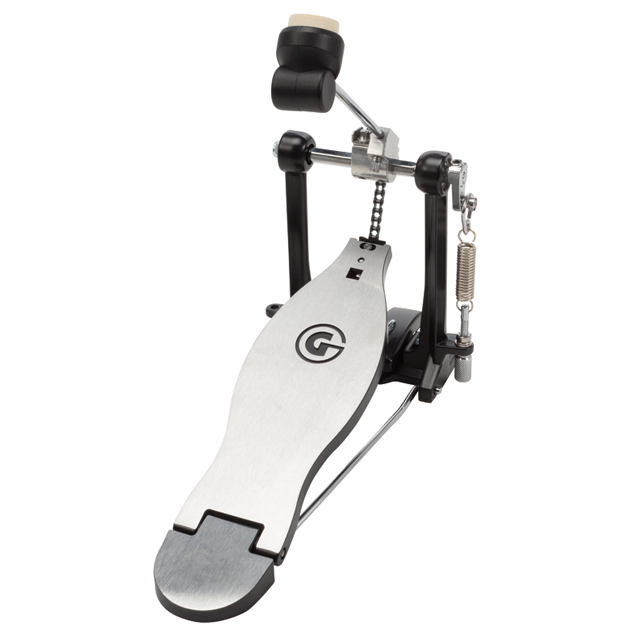 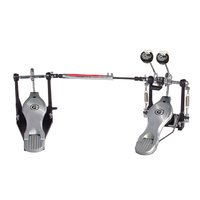 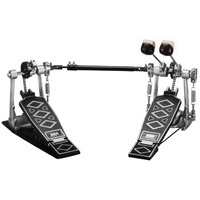 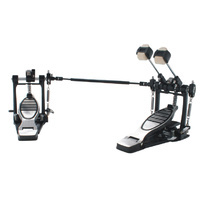 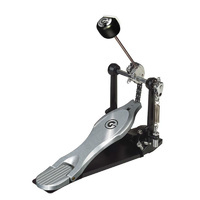 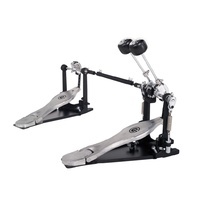 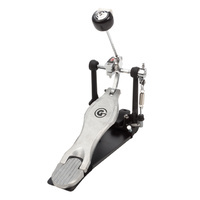 Single Chain Drive Single Bass Drum Pedal. 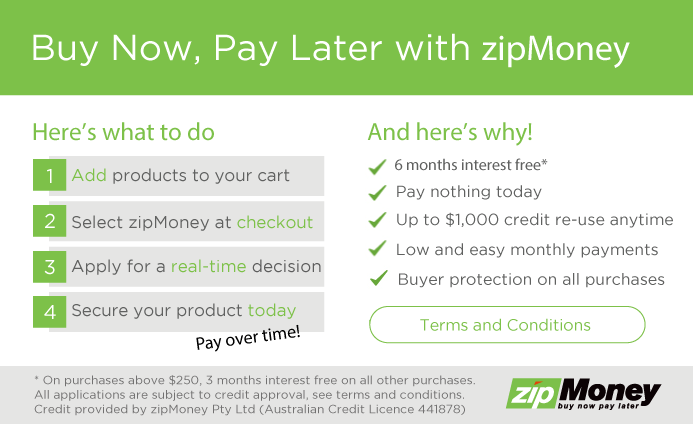 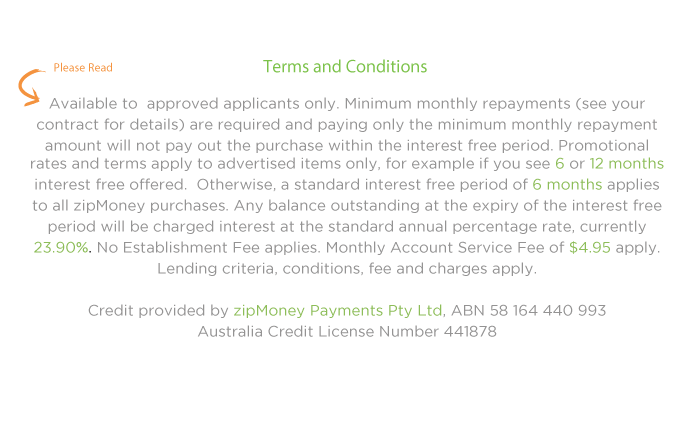 Clean and simple with quick response. 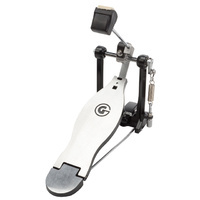 Fast touch "G" style pedal board design and dual surface balanced bass drum beater.